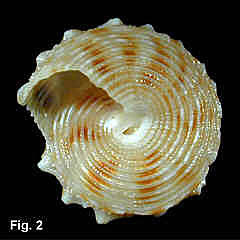 Description: Shell of 7-8 whorls. Protoconch smooth, first two teleoconch whorls with strongly beaded ribs. Later whorls with a peripheral rib formed from a thin erect lamella connecting widely spaced nodules. Spiral sculpture varies from rows of pointed beads to lamellate riblets. On penultimate whorl, six such riblets above peripheral rib and two below. Body whorl with smooth basal keel, separated from peripheral rib by 3-4 beaded or lamellate riblets. Base with about 15 ribs, the innermost 4-7 beaded, the remainder smooth. Umbilicus closed (holotype), or partially covered by columellar callus. Columella smooth, outer lip smooth internally. 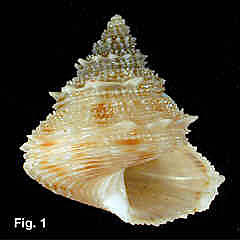 Colour fawn, columella white, interior nacreous. Size: Up to 14 mm high. Distribution: Endemic to Australia. 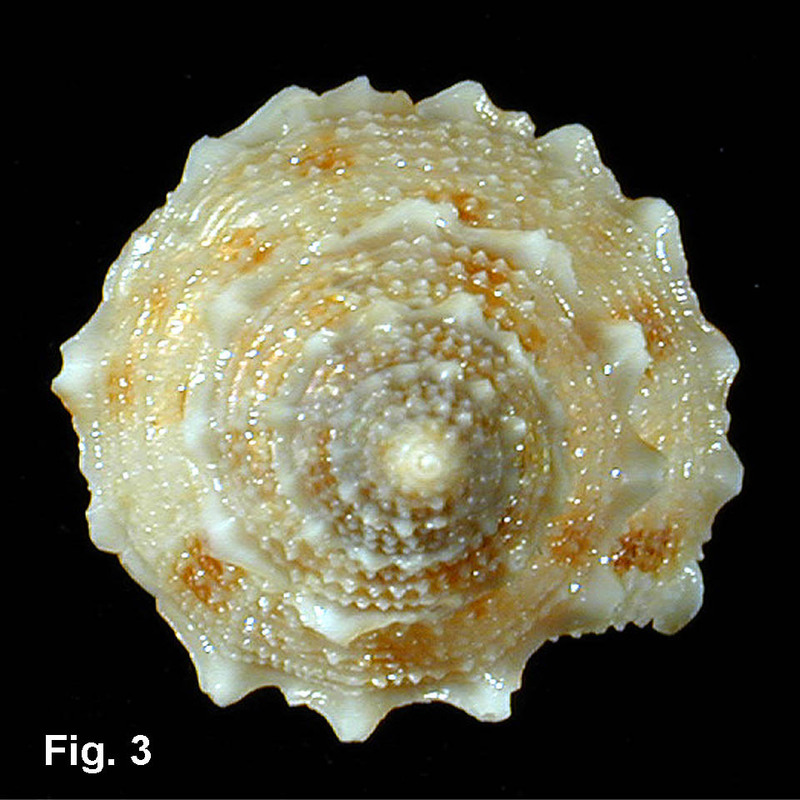 Known only from Capricorn Channel, Qld, in 188 m and off Sydney in 201 m.
Habitat: Taken in 188 m and 201 m. Rare.